On the heels of of Canon’s new firmware release, making the 5D Mark III compatible with its Ninja-2, ( see our article on it here: http://bit.ly/175KLec) ATOMOS is now shipping its highly anticipated Blade. 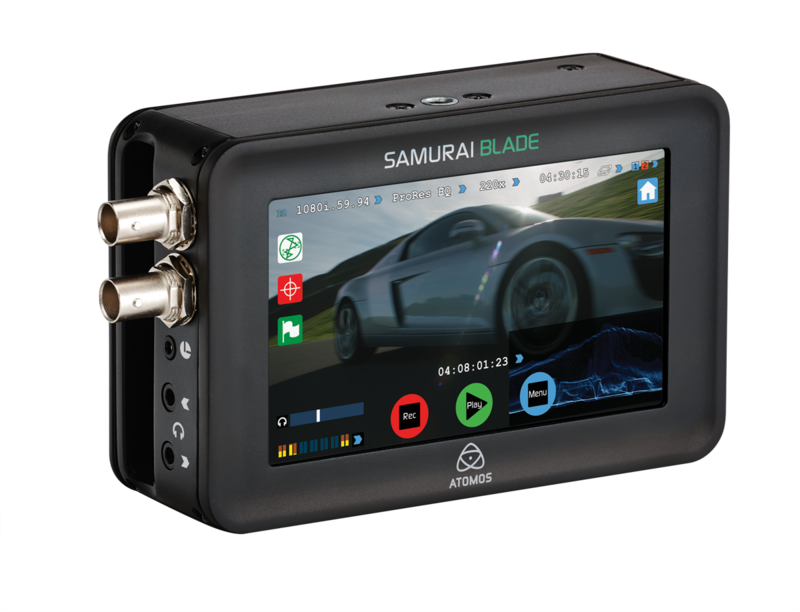 According to their May 29th press release, attendees at the 2013 Cine Gear Expo at Paramount Studios in Hollywood, California will be able to get their hands on, “the very first production units of the Samurai Blade – the field recorder/monitor combo which caused such a stir when it was announced at this year’s NAB. The Blade features a stunning 1280 x 720 IPS ‘SuperAtom’ touchscreen and is the first truly professional monitor that records to offer full waveform functionality, including vectorscope and RGB/luma parade displays. Beyond its functionality, the Samurai Blade’s screen is absolutely breathtaking, with deep, rich blacks, vibrant colors and razor sharp clarity. Unfortunately, it just doesn’t do the Blade justice to merely describe it with words or even with a demo video. The best way to experience the Blade is to see it in person, and if you’re in the Los Angeles area 5/31 though 6/1 , you can do just it now by attending Cine Gear and checking out the ATOMOS team at booth S318 at Paramount Studios. See www.atomos.com and www.cinegearexpo.com for more details.